"I think they have a little bit more a slower tempo, and I think we were able to take advantage of that and attack that," Collins said. "We like to get up and down. A lot of transition buckets. Open 3s. We were able to just execute on offense." 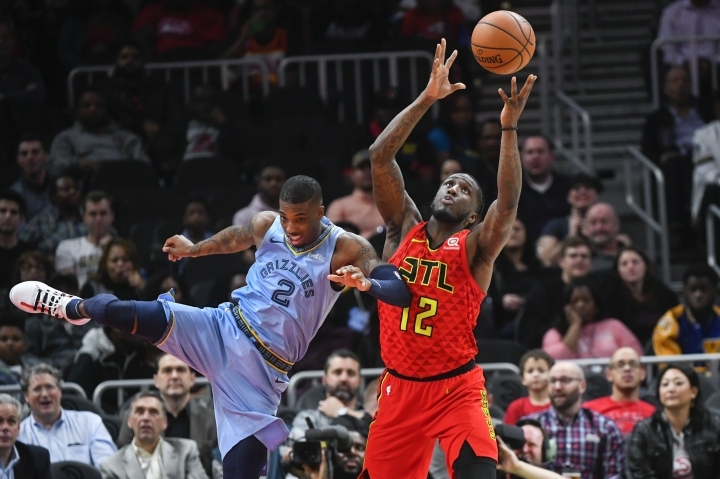 Collins had 27 points and 12 rebounds, Trae Young added 22 points and Atlanta snapped the Grizzlies' three-game winning streak with 132-111 victory on Wednesday night. 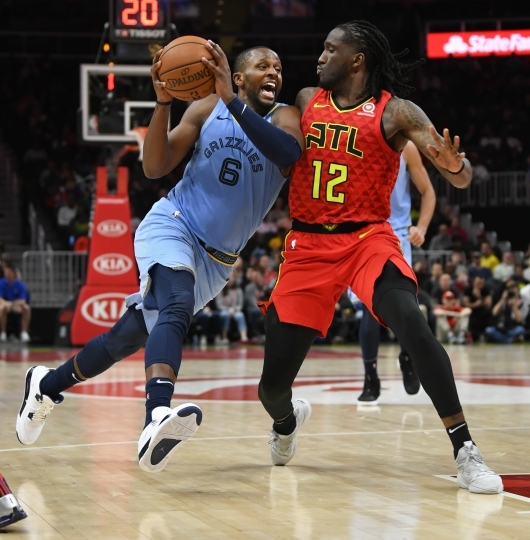 It marked the most points that Memphis, the NBA defensive scoring leader, has allowed this season, seven more than it gave up in an overtime win Nov. 30 at Brooklyn. C.J. Miles scored a season-high 33 points and Mike Conley finished with 20 for the sluggish Grizzlies. 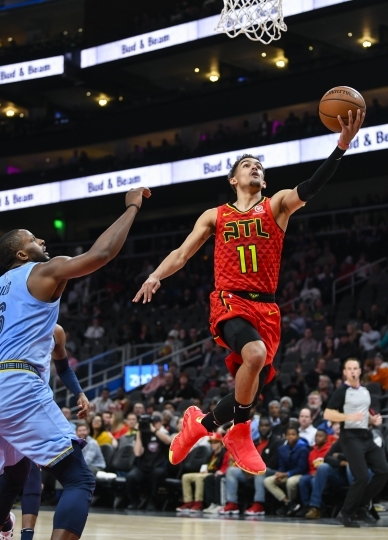 Atlanta, which had 35 assists on 52 field goals, never trailed in a matchup of teams buried in the standings. 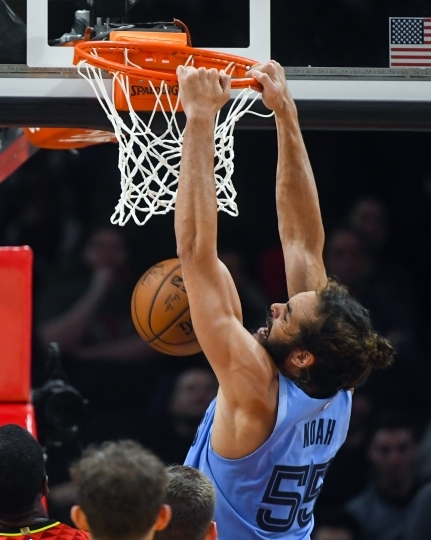 Though Young threw an alley-oop pass from deep in Memphis' end for his dazzling dunk in the second quarter, Collins saved his best moves for early the fourth. 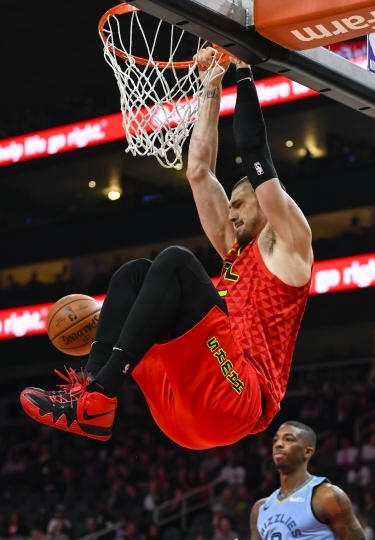 He hit a runner and then had a strong athletic move against Jonas Valanciunas, who blocked Collins' shot but still let Collins get off a second attempt — a reverse right-handed move — before his feet touched the floor to make it 116-92. 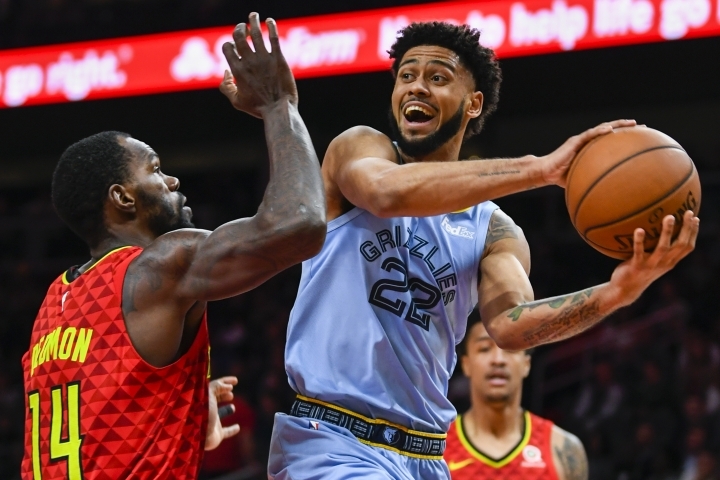 "I felt like he blocked the shot and I had a little extra air time to just flip it up," Collins said. "I haven't actually seen the play back yet myself, so hopefully I'll get as excited as you guys." 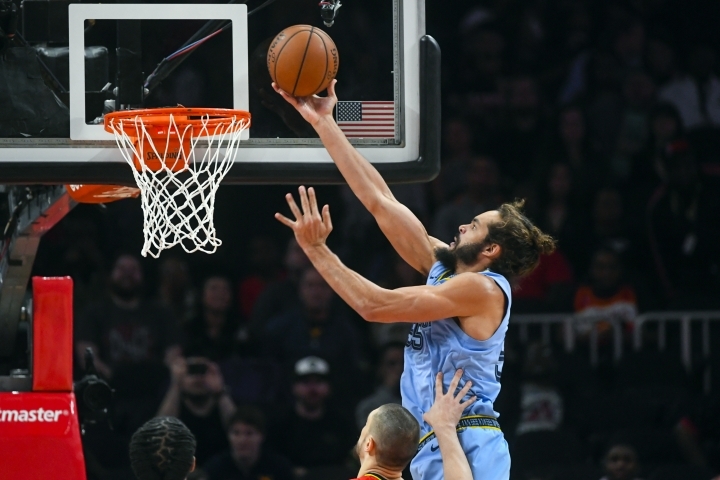 The Grizzlies began the game with the NBA's best scoring defense since the All-Star break, but they allowed 72 points, a season high for the first half and trailed by 11 at intermission. 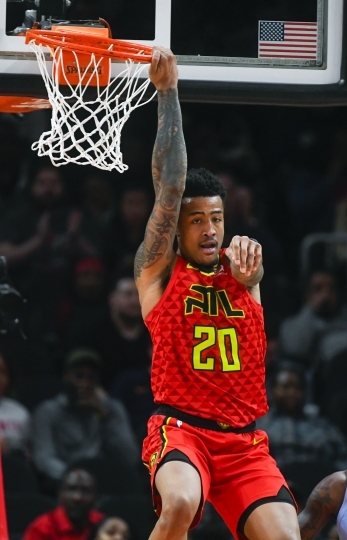 Atlanta began the game with the league's best scoring offense since the All-Star break. "Some games we come out and play a certain way, and sometimes it's different," Young said. "The way we played tonight, we've played like that most of the year. We just haven't been able to finish out games." 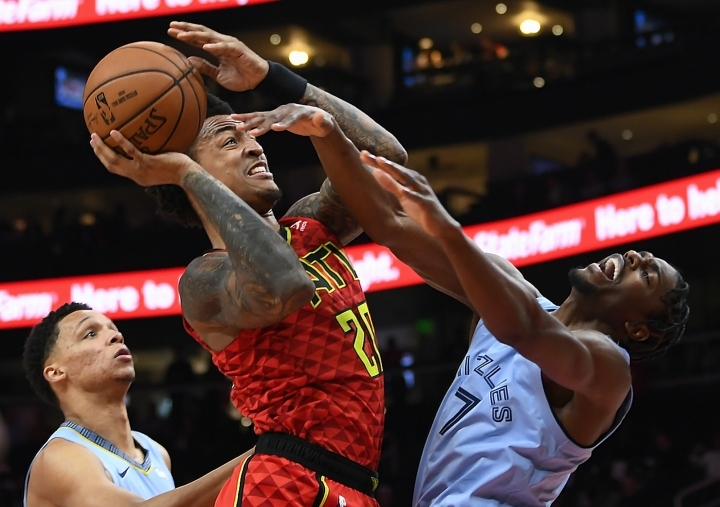 Whenever Memphis pulled within a couple points of the lead, the Hawks would force a turnover or a poor shot and pull back ahead by double-digits. Miles had a season-high five 3-pointers and 17 points by the midway mark of the second, but he couldn't keep the Grizzlies close enough. 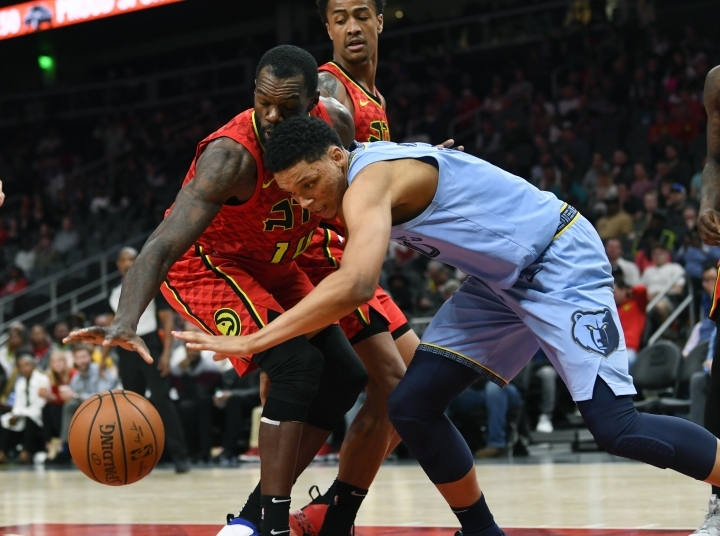 Atlanta spread out its offense to get good spacing and used screens and dribble penetration to keep Memphis on its heels. 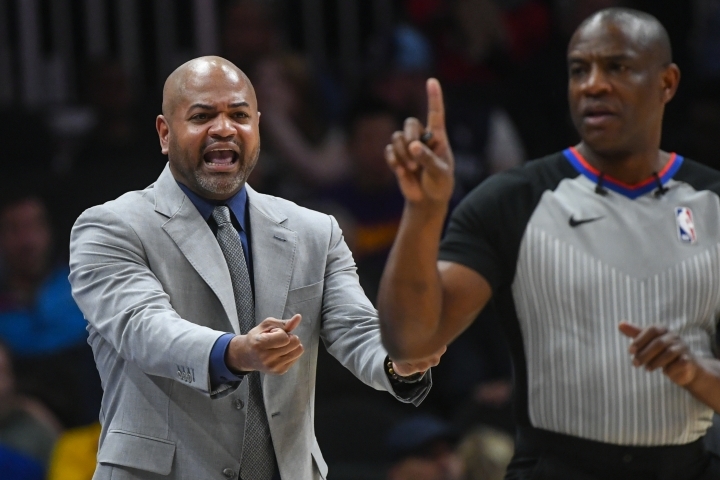 "This group hasn't had a night like this before," Memphis coach J.B. Bickerstaff said. "Some nights you have these nights. We just can't repeat it. Tonight we laid an egg, plain and simple. You could feel it. We were loose on both ends of the floor." 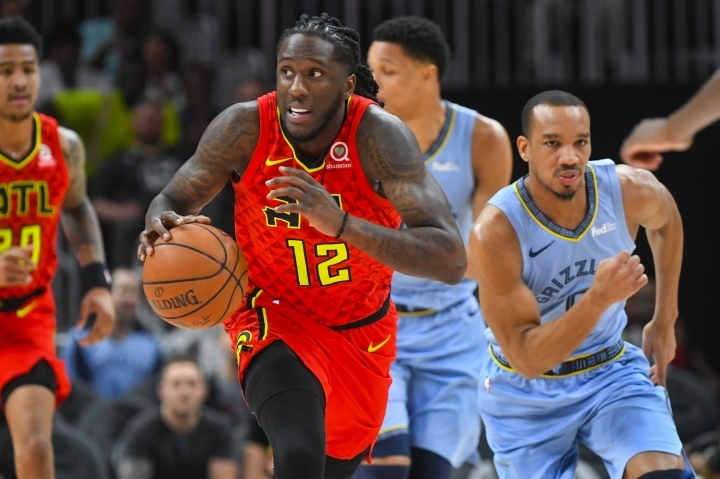 Young and Taurean Prince each launched a long 3 on consecutive possessions to make it 80-62 early in the third, and the lead swelled to 23 on Collins' fast-break dunk at the 8:07 mark. Memphis pulled within 15, but Kevin Huerter hit a 3 before Vince Carter passed from the corner to Alex Len for an alley-oop dunk that made it 110-87 in the last minute of the third. 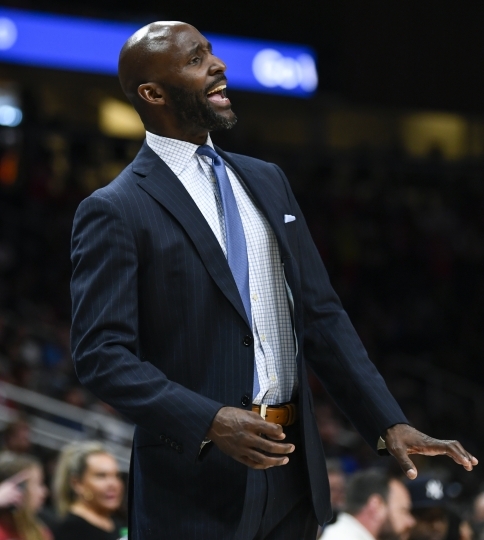 Grizzlies: Bickerstaff had 11 players available. F Kyle Anderson (shoulder soreness), G Dillon Brooks (toe injury) and F Jaren Jackson Jr. (thigh bruise) did not make the trip. 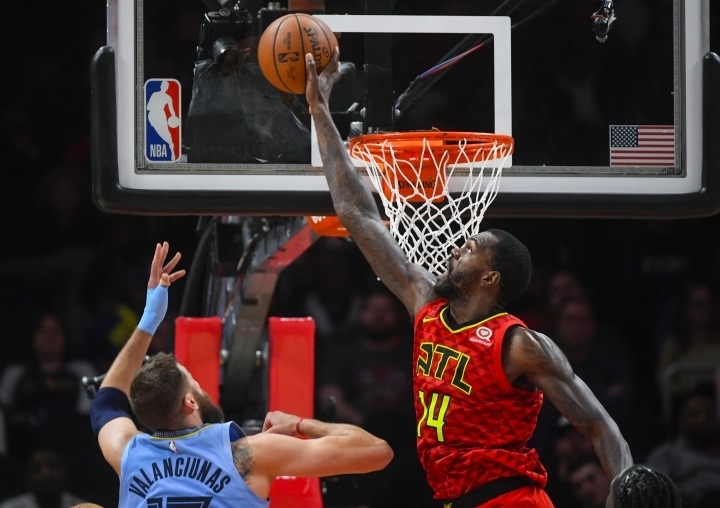 Hawks: C Dewayne Dedmon returned to the starting lineup for the first time in four games. He missed two games with a right knee contusion and came off the bench in Sunday's win over New Orleans. Grizzlies: Visit Washington on Saturday. Hawks: Visit Boston on Saturday.